Royale has a new contest! 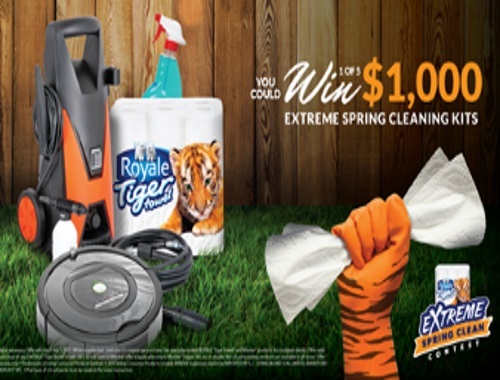 Enter their Extreme Spring Cleaning Contest for a chance to win 1 of 5 $1000 Extreme Spring Cleaning Kits! Kits include Robot Vacuum, Pressure Washer, Glass Cleaner, Royale Tiger Towel Paper products. Please note, you can enter this one everyday. When you enter you will be offered a coupon for $3 off Windex trigger when you buy 2 Royale tiger towel. Contest closes March 31, 2017.